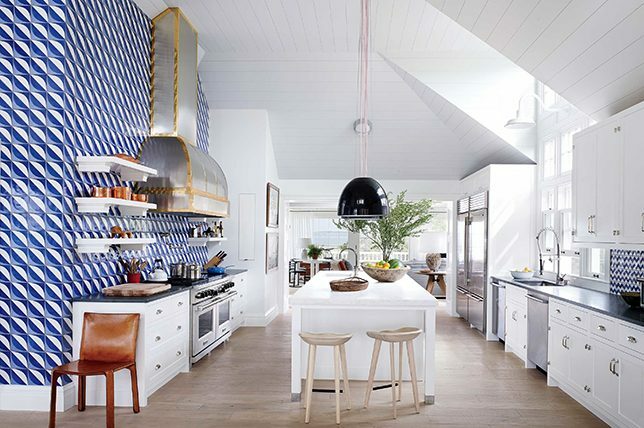 When it comes to inspiring kitchen wall decor ideas, the sky’s the limit. Don’t just paint it white and be done with it. Any kitchen deserves well thought out, smart interior design and savvy storage solutions just like any other room of your home. You can be as creative with your kitchen wall decor ideas as you are in your living room or in your bedroom. There’s is no need to leave your kitchen, one of the most commonly used rooms in any home, in the dark. 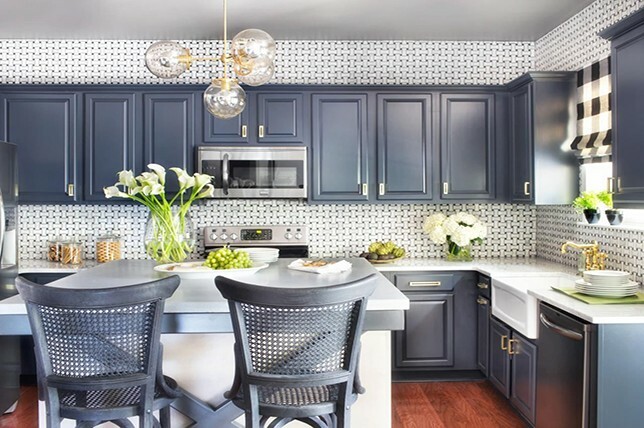 From eye-catching tile designs that will enable you to add unique style to small kitchen wall decor to ideas that’ll make it appear larger, there’s plenty to consider when looking to elevate yours. 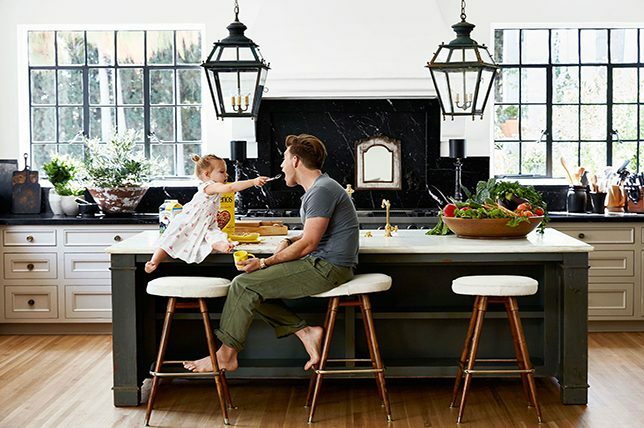 Explore these refreshing and modern kitchen wall decor ideas culled from Décor Aid interior designers and renovation experts for your home. Like we said, there are scores of kitchen wall decor hacks that’ll impressively elevate your home with ease. And when it comes to your kitchen backsplash, who says that the treatment you decide on has to stop just under your cabinets? Quite the contrary in fact, with this remarkable take. 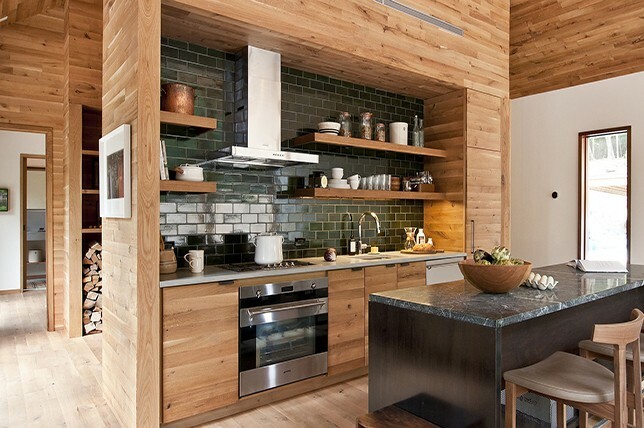 Instead of going for a subtle take, why not extend your kitchen backsplash all the way up to your ceiling? 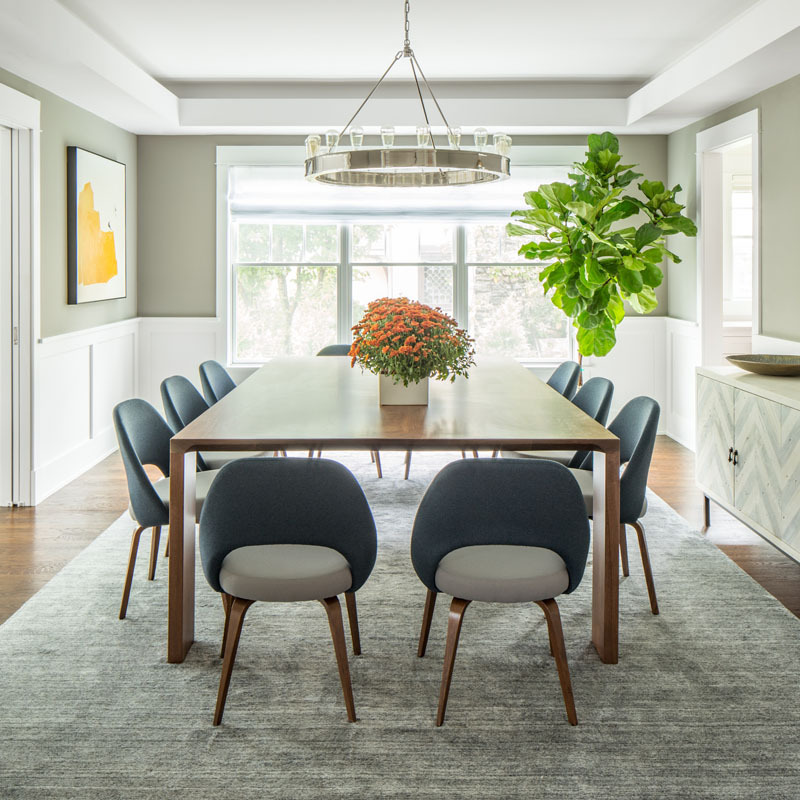 This will, in turn, create a bold feel while highlighting your material selection and your kitchen will instantly look and feel larger and better well-judged. 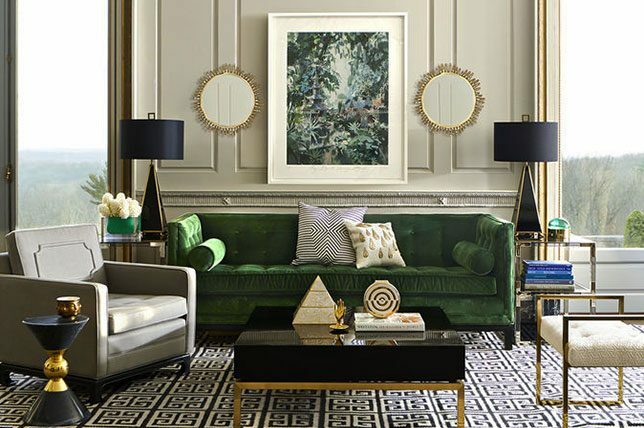 And you can count on guests stealing the look for their own homes. If you’ve got a striking collection of kitchen and cookware and storage containers to compliment them, think about creating a pantry alternative by displaying everything in sight. This could be via a console or a pantry cabinet or shelf, and it’ll make finding and using needed items remarkably easier. 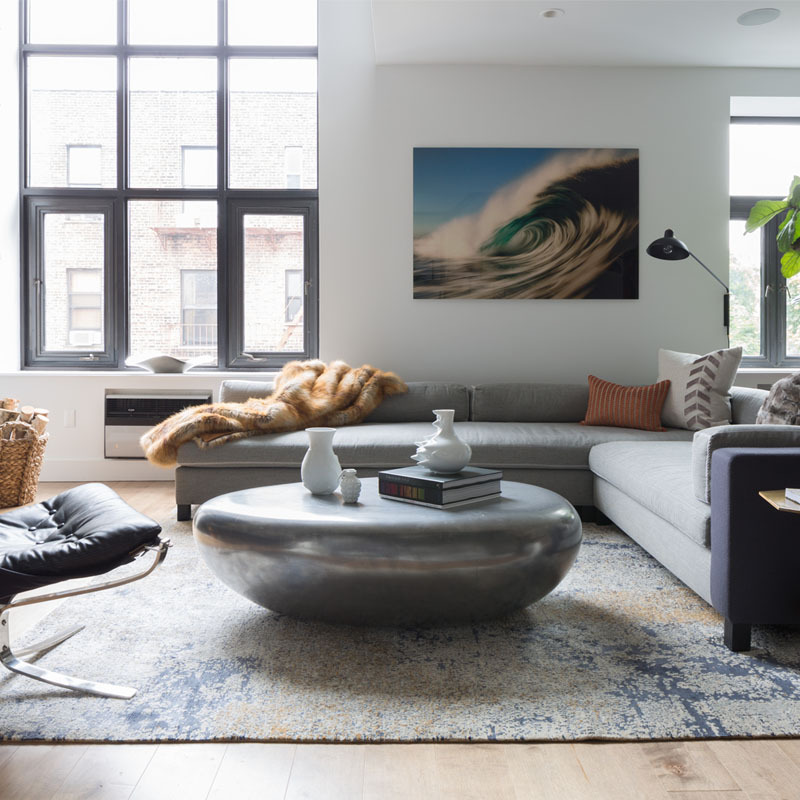 That said, to keep the area tidy and visually pleasing, make sure that everything remains organized and is housed in attractive vessels and storage containers for a sophisticated look. 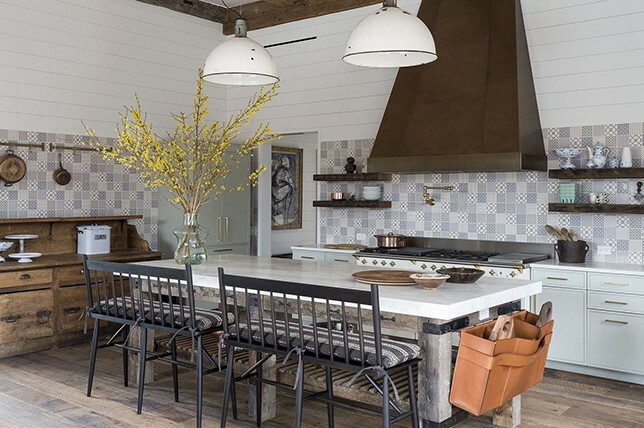 For a sturdy take on kitchen wall decor that’ll make the space feel warmer and more inviting, shiplap makes for an affordable take on tiled walls and art. 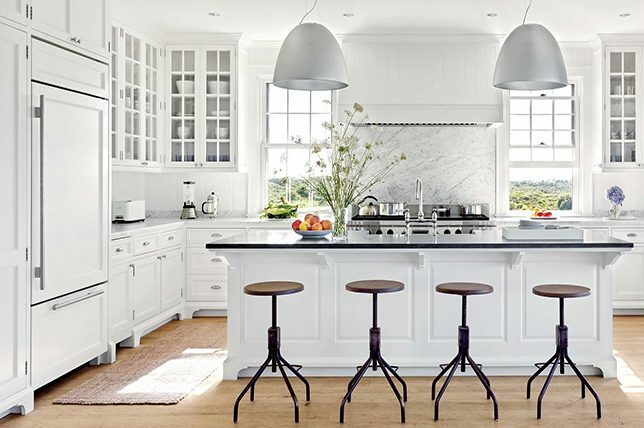 It’ll also lend your kitchen a rustic charm, making it a perfect choice for a classic country-inspired kitchen. 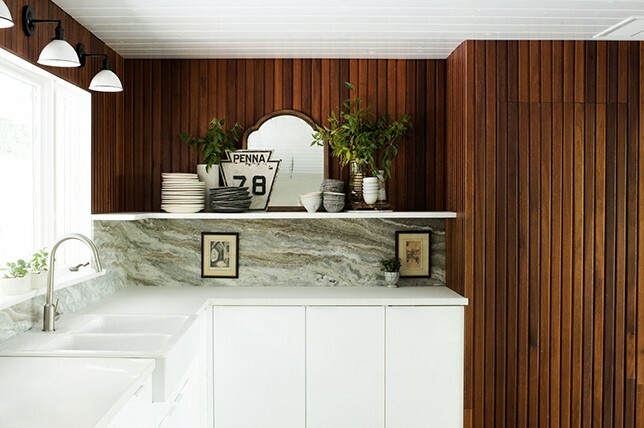 Keep the look modern by pairing shiplap with sleek minimal cabinets and high-shine hardware for a striking juxtaposition. And since shiplap is so strong, it’ll be a worthy investment that will last for years to come. Plus, it’s much easier to maintain than just about any stone or other kitchen wall covering material. 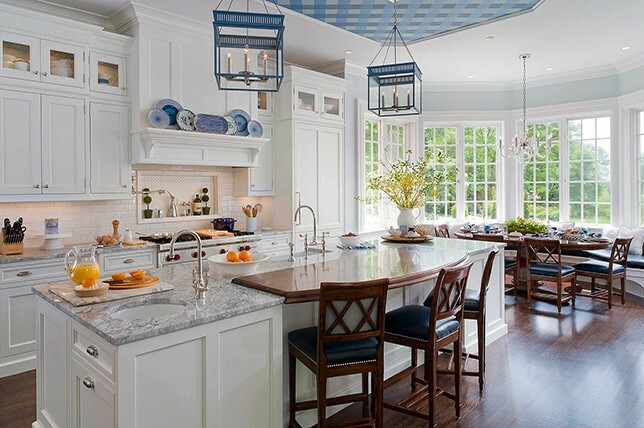 When it comes to kitchen walls or just about any room for that matter, our clients often overlook the potential of an often virtually untouched, expansive piece of real estate – the ceiling. 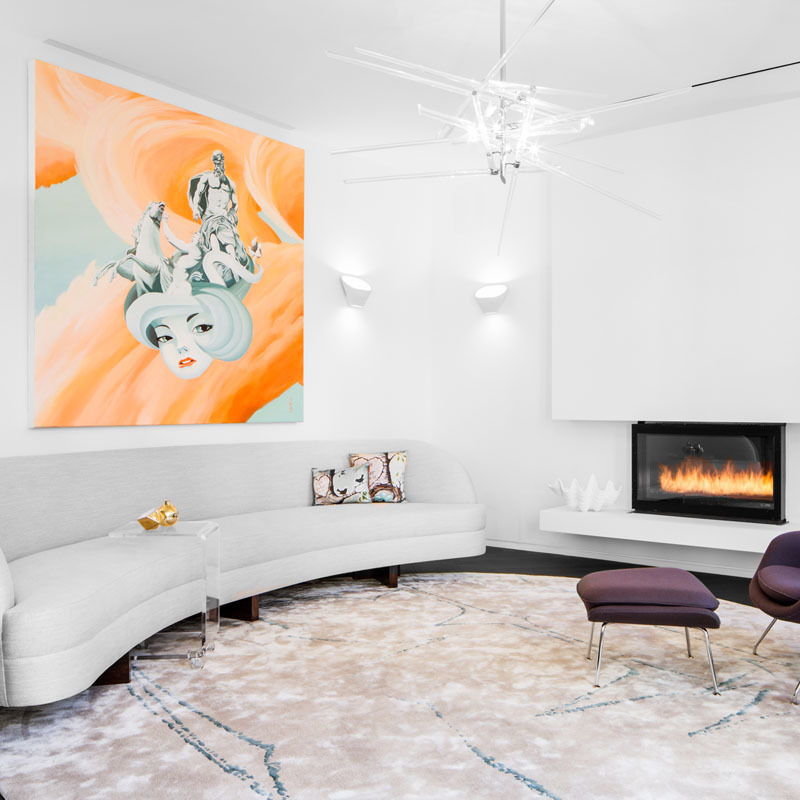 Coined the ‘5th’ wall in the interior design world, a rethink of your ceiling can provide a striking outcome. 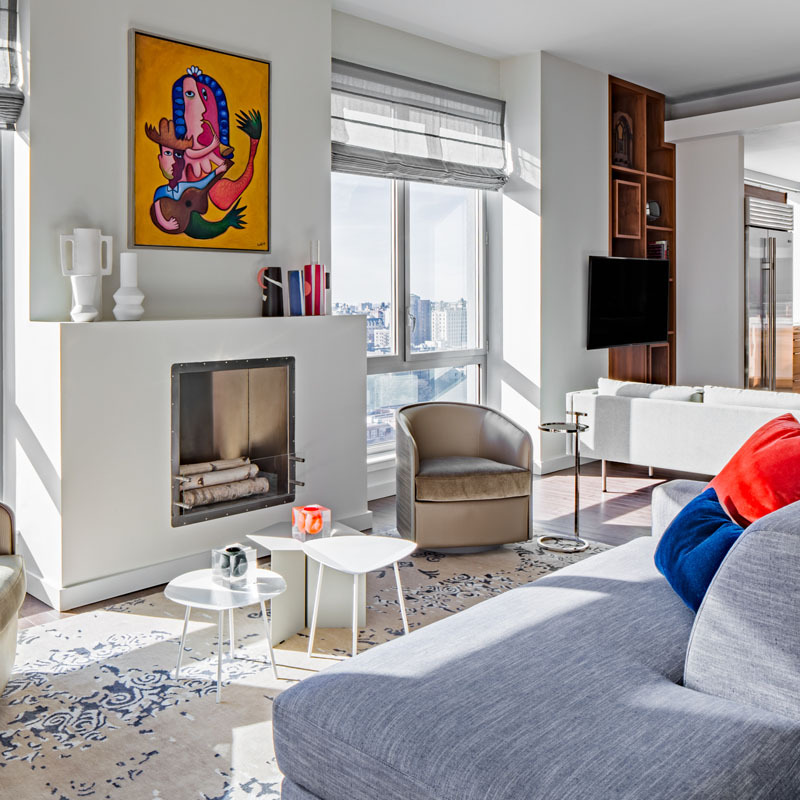 From vibrant wallpaper to painted panels to faux beams, you can go in just about any design direction. But since it can be a costly procedure that you’ll have to bring in a professional to install, do make sure that you’ll be happy with your selection down the road. 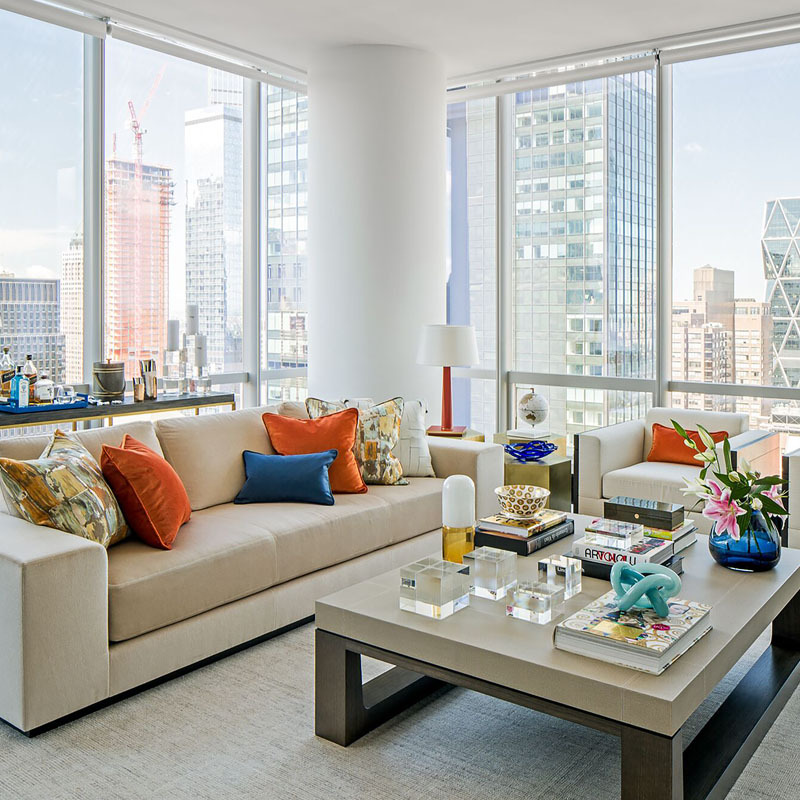 And do remember the effect it can have on the potential resale of your home as if you make too experimental of a choice, you’ll regret it when you have to take it down. 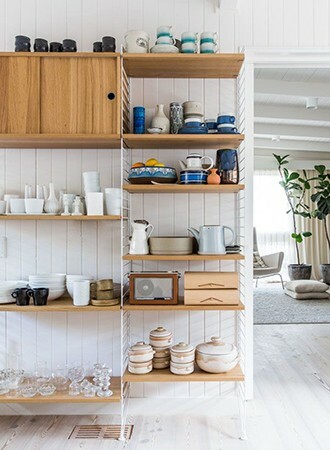 In what seems like a forever on-trend take on modern kitchen wall decor ideas, open shelving is as viable as ever before. Open shelving is much more affordable than having new cabinets installed, and they’ll help to make your kitchen feel larger and brighter. Even better when you’re able to style them in an easy to maintain, attractive way, and the fact that finding and reaching for items that you need will be all the easier. That said, do keep in mind that open shelves can attract dust, making items that you don’t even use in need of a hand wash every now and then. A dramatic full-sized bookshelf taking up a major wall will make for a striking focal point and the perfect spot to style kitchen items and decor. And if you’re lucky enough to have a window by your bookshelf, you can even create a raised seating area with storage underneath for a comforting reading nook. 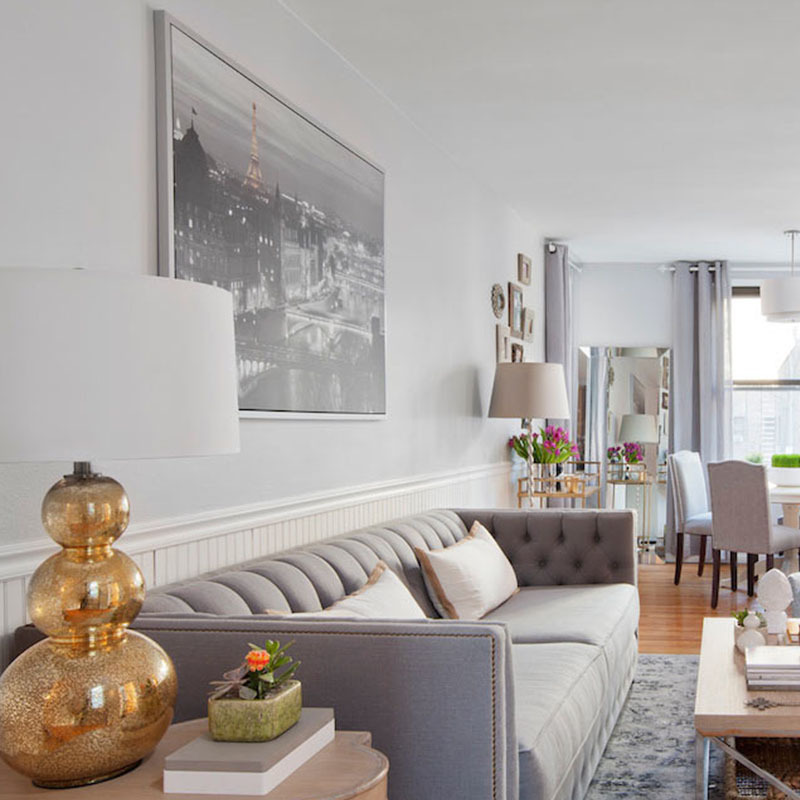 Accent walls are still all the rage and for good reason. 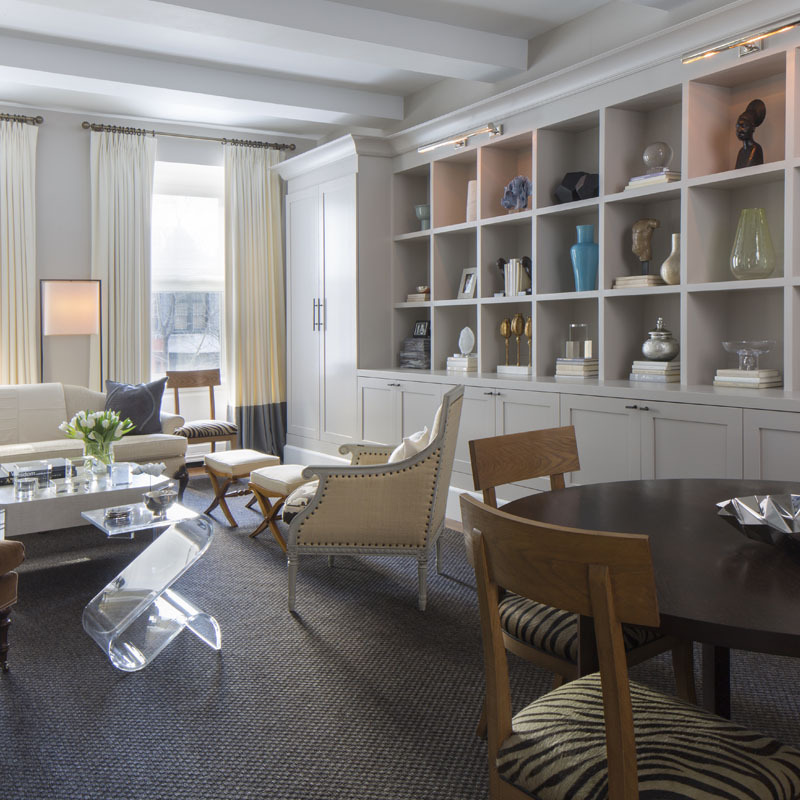 They help define a space and add depth to it, they’re easy to create, and best of all, they’re affordable at that. 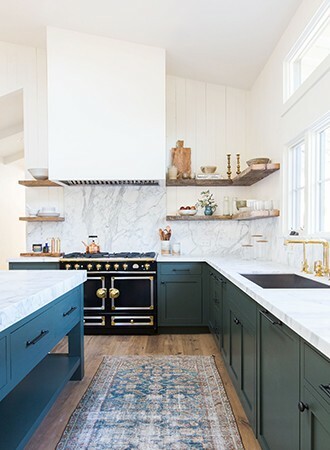 But for a more sophisticated take on kitchen wall decor, creating an accent wall out of a stunning material like raw wood or oversized tiles will make your kitchen feel all the more luxurious and well-judged. Like we said, kitchen walls don’t always have to be white. 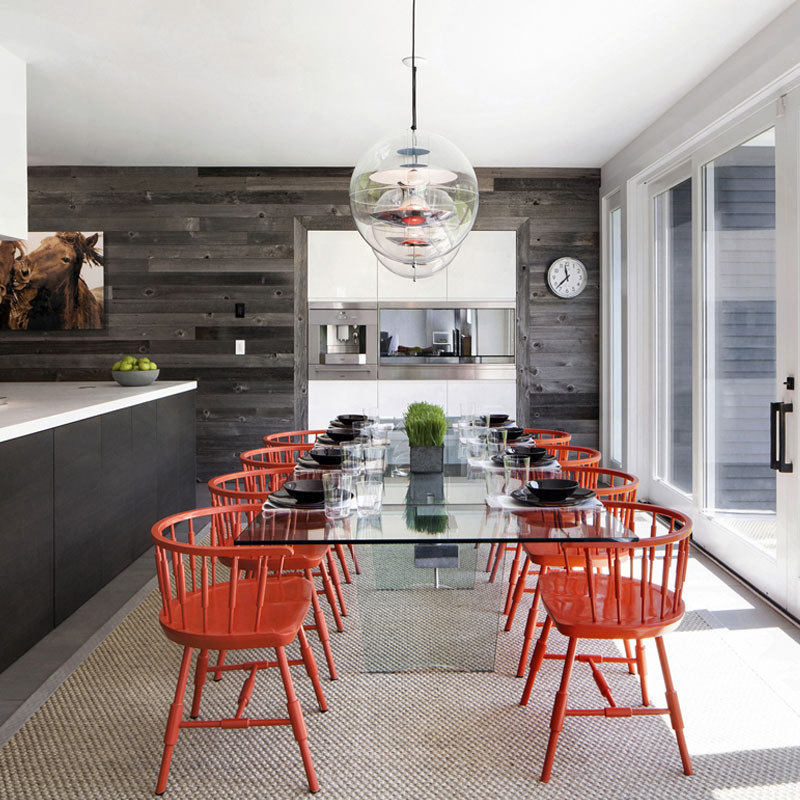 And like with any room, they can be any color, but they look more modern in a darker, moody hue. 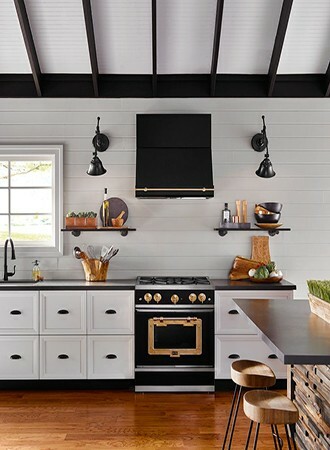 From an alluring nautical-inspired navy tone to a lush glossy black, dark kitchen walls juxtaposed with lighter toned accessories and finishes will evoke an unexpected and unique feel. Any time our general contractors approach updating the kitchen wall decor of our client’s homes, they’re often surprised at the lack of attention to proper lighting solutions. To make cooking and reading cookbooks all the easier, consider having new swing arm light sconces installed at different heights. Best of all, wall sconces are much more affordable than overhead lights and they don’t take up any counter space. Use tiles to create a distinctive feature in your kitchen with bold contrasting color to create an eye-catching design by changing the orientation of the tiles. 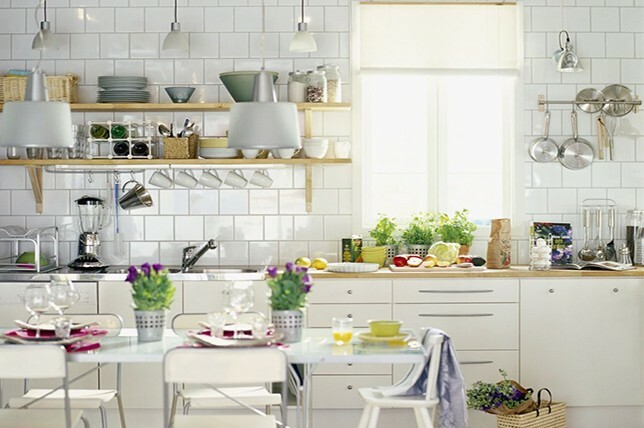 You can even introduce some tiles of a completely different shape to make an impact in your kitchen wall decor. You can also use tiles to create a work of art – use different shapes and colors of tiles to create a mosaic design, or have your own illustration custom designed on tiles that you can have installed as your very own bespoke, luxury kitchen wall decor. 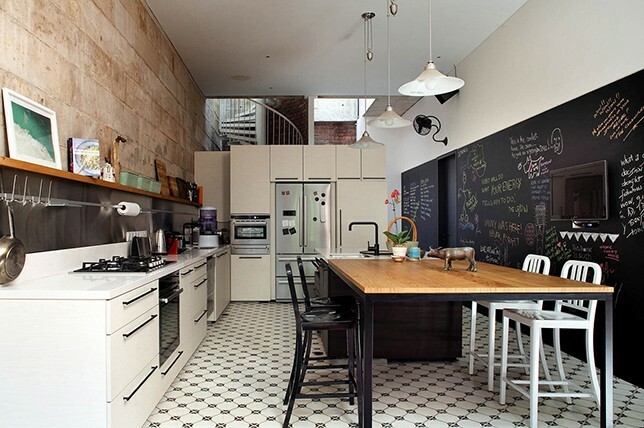 Chalkboard paint is fun and practical for kitchen wall decor along one of your walls. 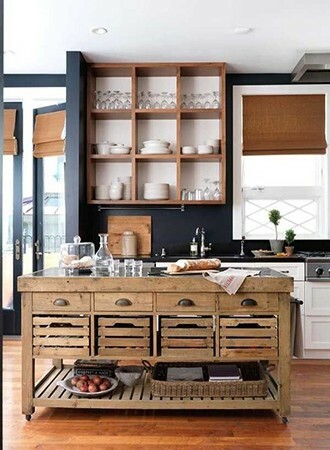 The dark color will contrast nicely with lighter woods and light colored kitchen cabinetry and worktops. Chalkboard paint also has the added bonus of being the perfect surface to write notes, jot down a shopping list or even create this weeks’ menu. Plus, it will wipe clean in a flash. If you enjoy cooking but you have a young family and you need to keep an eye on them, then chalkboard paint is the perfect way to do it – you can set your little ones down with some chalk and let them go to town, while you prepare a comforting meal. Not everyone has space in their kitchen for a wall dedicated to artistic kitchen wall decor ideas. 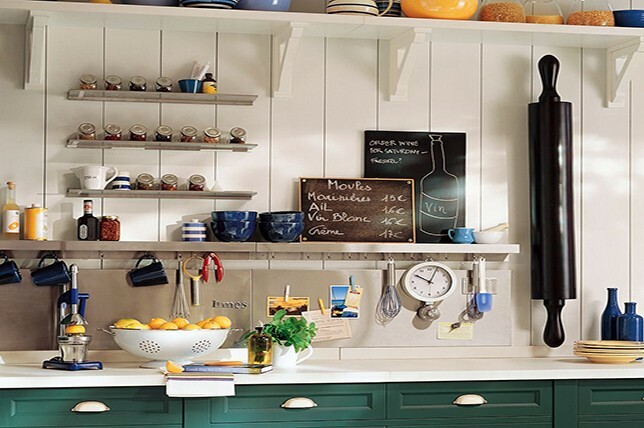 If that sounds like you, then artistically displaying your kitchenware might be the way to add some life into your kitchen, without losing storage space. 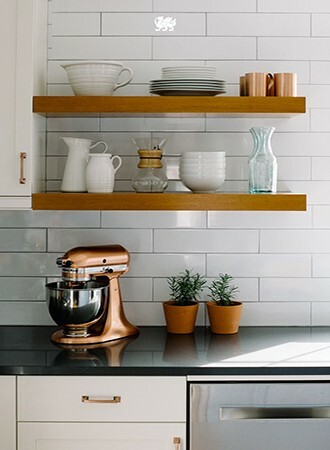 Install floating shelves and display all of your favorite pieces of kitchenware on them for all to see – glasses, plates, cups, and pots can make a surprisingly attractive display in your kitchen. You could also have some open cabinetry installed, which looks wonderfully stylish as well as providing you with ample storage. We are so glad to see charming wall plates and platters making their way back into the realm of wall art, and where better to hang plates and platters than in the kitchen? Plates and platters displayed as kitchen wall decor will look stunning – choose a selection of plates which will pop against your kitchen color scheme. Antique and secondhand stores are a great place to get ahold of this type of kitchen wall decor inexpensively. The artwork you find on decorative plates can be delightful and you won’t regret choosing this over another type of kitchen wall decor in a more modern style. If you are one of those lucky people who have a gorgeous set of copper pots and pans, then you should be displaying them for all to see. This kind of kitchen wall decor is practical, as you already have the decor, you just need to make it into an artful feature. Whether you’ll hang them from a frame with hooks, from a rail or display them on shelving, pots and pans can make for a surprisingly striking work of art. Mix and match shapes and sizes to keep your pans artfully balanced. If you don’t want to go traditional by hanging a painting on a wall, an artistic array of wall-mounted planters makes stunning rustic kitchen wall decor. Plant life adds wonderful texture to any room, and it will leave your kitchen feeling lively and bright. You can make wall-mounted planters out of anything and everything – to give your wall-mounted planters an added boost, in-keeping with the space. We love a gallery wall for kitchen wall decor ideas, but the usual haphazard feel of a gallery wall might be a bit much for a busy kitchen space. Reign in your design with a linear, structured gallery wall, ensuring your kitchen doesn’t start to feel chaotic. 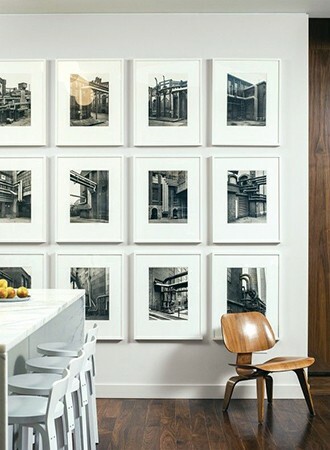 A gallery wall like this can work equally as well for large or small kitchen wall decor. 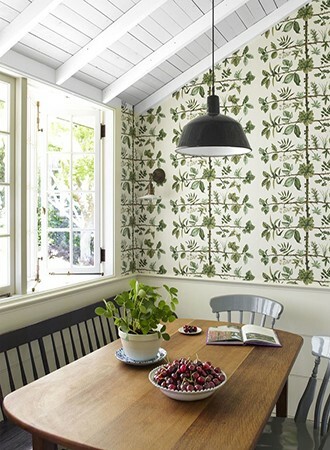 Botanical and natural prints would work perfectly in a kitchen, like prints of herbs, vegetables or fruit. This will add some color and interest without your kitchen art feeling too cluttered or imposing. If you want to introduce something out of the ordinary, then wood paneling is a great choice over the usual paint or tiles. Great for the walls and the ceiling, wood paneling will give your kitchen wall decor a sophisticated feel, but without all the fuss. As kitchen wall decor ideas go, this has to be one of the simplest, so if you love a minimalist feel but you want to introduce some texture, then this is the way to go. 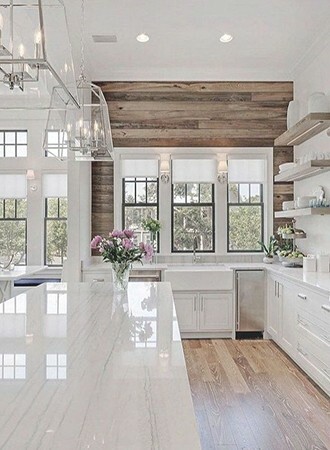 You can choose natural wood colors or painted panels in any color – we think the medium toned wood and white panels are the absolute best for rustic kitchen wall decor. Wallpaper isn’t a wall covering you would automatically go for, when it comes to kitchen wall decor ideas, but it works so well. 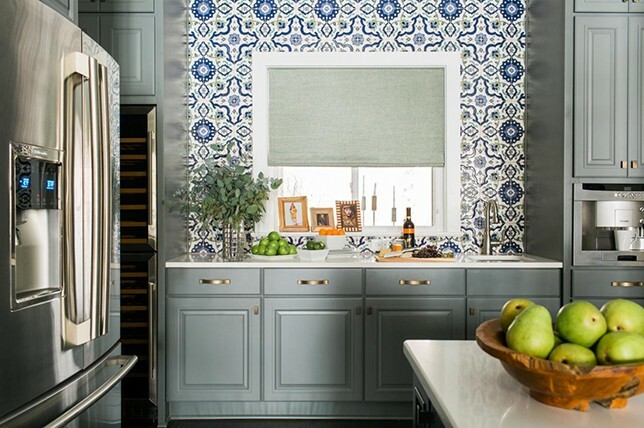 Wallpaper is always available in vibrant prints and patterns, which enable you to add plenty of color, texture, and style to your kitchen with relative ease. Standard wallpaper will be fine for any walls which are away from cooking stations and out of harm’s way from the sink. If you are wanting to hang wallpaper in your most used kitchen areas, then go for a Teflon coated wallpaper so you can easily wipe them clean and expect plenty of durability. Turn your love of wine into art. Wine can be a challenging to store at the best of times and if you have a small kitchen, then this idea is perfect for small kitchen wall decor. If you are struggling with space (or you are simply a wine buff who wants to show off their collection) then wall-mounted wine displays are a stylish way to go. Display your favorite bottles on the wall, making a feature out of your collection. You could even create an ombre effect with red, rose and white. 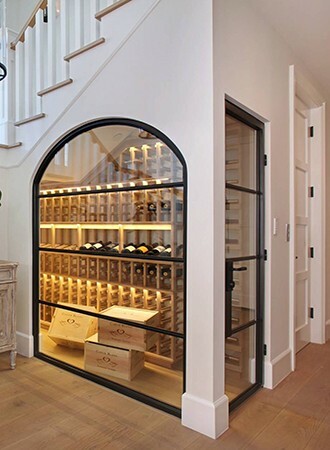 But if you have a small budget to work with and dead space like under the stairs, think about having a proper vault built for the ultimate in luxury kitchen wall decor. 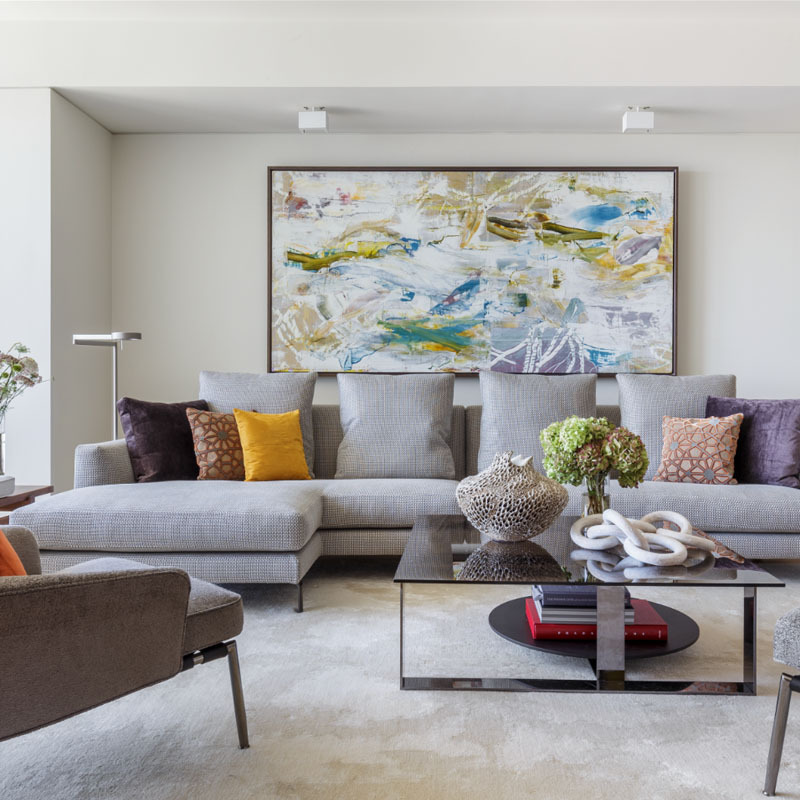 Every home seems to end up with sets of mismatched glassware, but you don’t need to be hiding these in the back of the cupboard – embrace your mismatched sets and put them out on display. Glassware makes stunning kitchen wall decor, as the light reflects off of the glass, making it radiant in the sun. 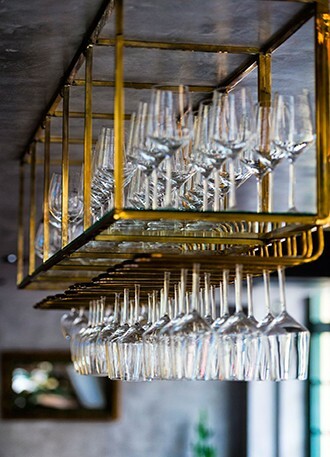 Show off your colorful glasses, beautiful cut-glass or crystal, and interesting shapes and sizes. Work with what you’ve already got, or pick up items from a discount or antique store for this take on rustic kitchen wall decor.